Thanks to the generous donations we receive, we are able to host free Iftars every day during the holy month of Ramadan. This relies entirely on donations, so we would greatly appreciate any contribution you could make! We expect around 100-120 students to break the fast with us every night. We're very efficient with expenditure, with the the total cost of a daily Iftar, including dates, drinks, a full meal and fruits, being around £280. Whether you'd like to sponsor a full night or contribute pennies, we'd be very grateful! 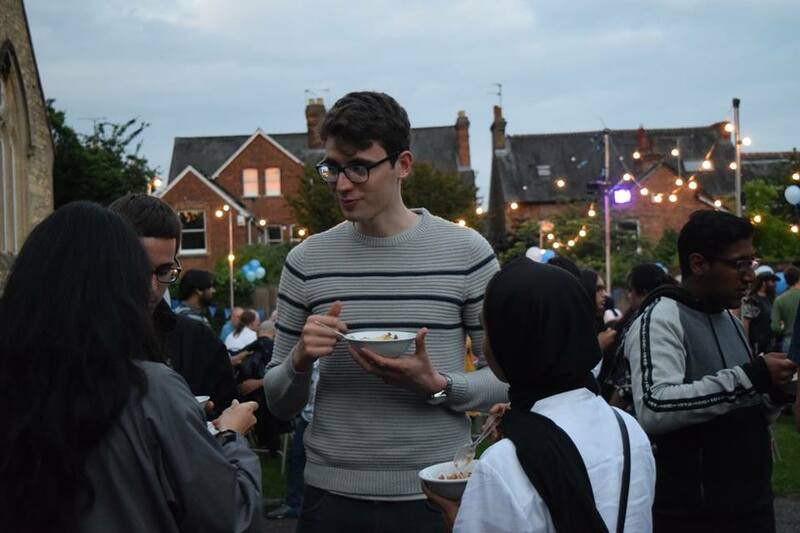 During Ramadan, the OUISoc hosts free Iftars every day. These Iftars are the backbone of the Muslim community in Oxford, providing a space for everyone to come together and share a meal each night. We see many Muslims joining the ISOC in this period and others fasting for the first time in years because of the atmosphere it creates, bringing them closer to Islam.